The Completable class represents a deferred computation without any value but only indication for completion or exception. 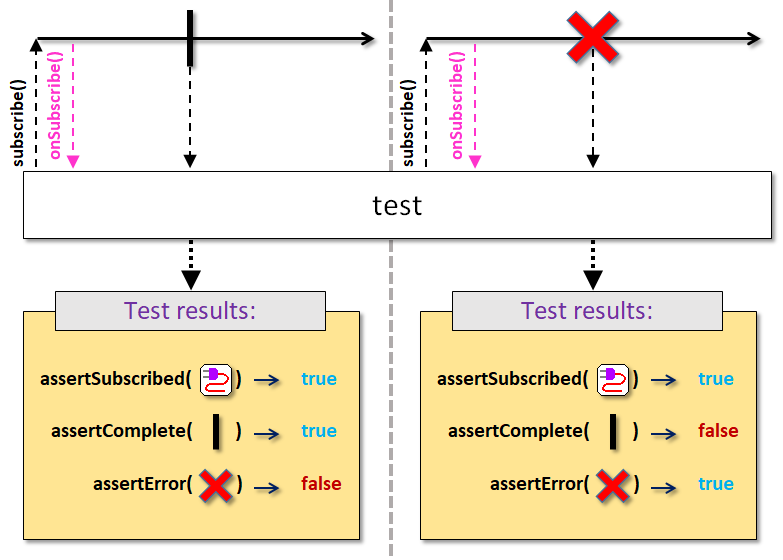 Completable behaves similarly to Observable except that it can only emit either a completion or error signal (there is no onNext or onSuccess as with the other reactive types). Note that as with the Observable protocol, onError and onComplete are mutually exclusive events. 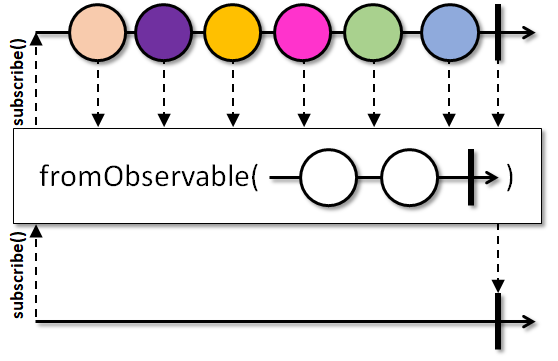 Like Observable, a running Completable can be stopped through the Disposable instance provided to consumers through SingleObserver.onSubscribe(io.reactivex.disposables.Disposable). Like an Observable, a Completable is lazy, can be either "hot" or "cold", synchronous or asynchronous. Completable instances returned by the methods of this class are cold and there is a standard hot implementation in the form of a subject: CompletableSubject. 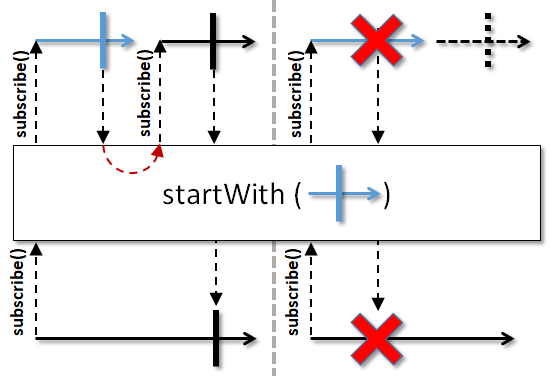 See Flowable or Observable for the implementation of the Reactive Pattern for a stream or vector of values. 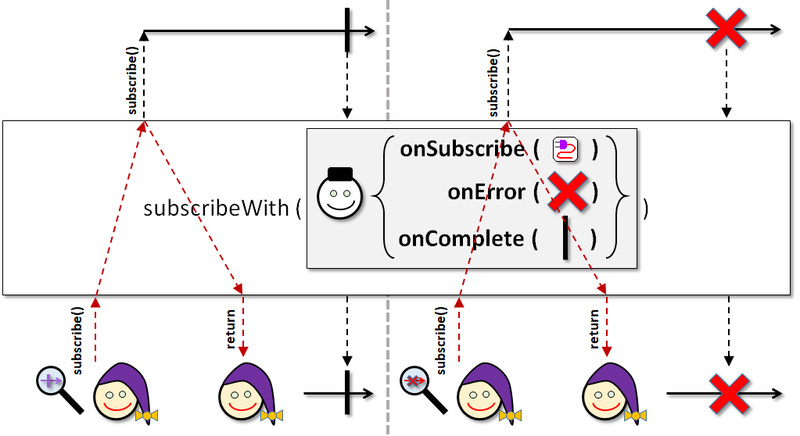 Note that by design, subscriptions via subscribe(CompletableObserver) can't be disposed from the outside (hence the void return of the subscribe(CompletableObserver) method) and it is the responsibility of the implementor of the CompletableObserver to allow this to happen. RxJava supports such usage with the standard DisposableCompletableObserver instance. For convenience, the subscribeWith(CompletableObserver) method is provided as well to allow working with a CompletableObserver (or subclass) instance to be applied with in a fluent manner (such as in the example above). Returns a Completable which terminates as soon as one of the source Completables terminates (normally or with an error) and disposes all other Completables. Returns a Completable that emits the a terminated event of either this Completable or the other Completable whichever fires first. Returns a Completable that first runs this Completable and then the other completable. Returns a Maybe which will subscribe to this Completable and once that is completed then will subscribe to the next MaybeSource. 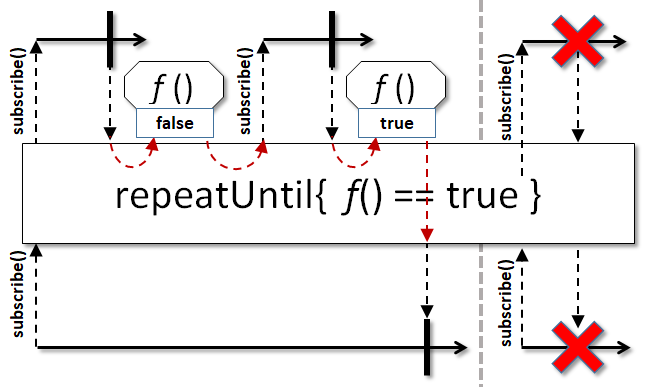 Returns an Observable which will subscribe to this Completable and once that is completed then will subscribe to the next ObservableSource. Returns a Flowable which will subscribe to this Completable and once that is completed then will subscribe to the next Flowable. Returns a Single which will subscribe to this Completable and once that is completed then will subscribe to the next SingleSource. Calls the specified converter function during assembly time and returns its resulting value. Subscribes to and awaits the termination of this Completable instance in a blocking manner and rethrows any exception emitted. Subscribes to and awaits the termination of this Completable instance in a blocking manner with a specific timeout and rethrows any exception emitted within the timeout window. 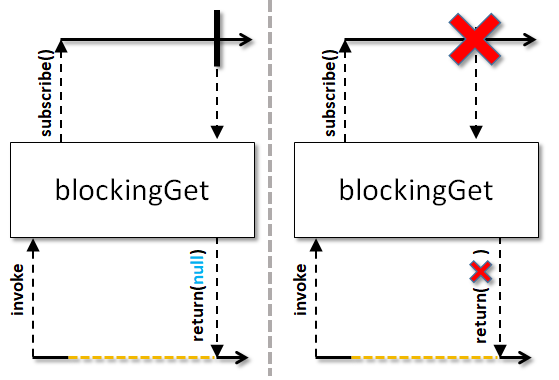 Subscribes to this Completable instance and blocks until it terminates, then returns null or the emitted exception if any. 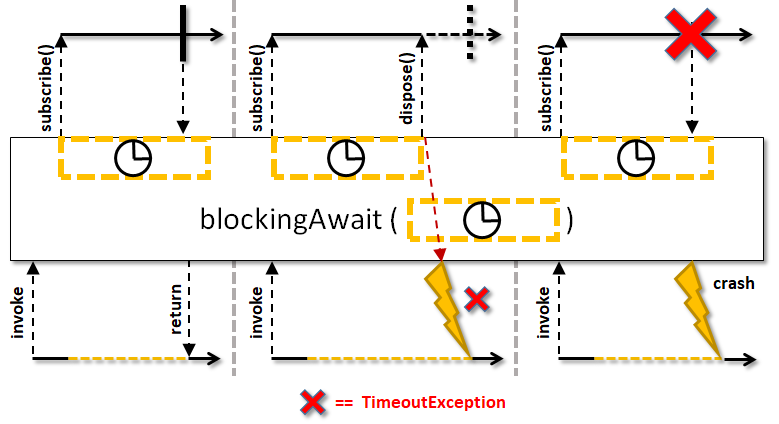 Subscribes to this Completable instance and blocks until it terminates or the specified timeout elapses, then returns null for normal termination or the emitted exception if any. 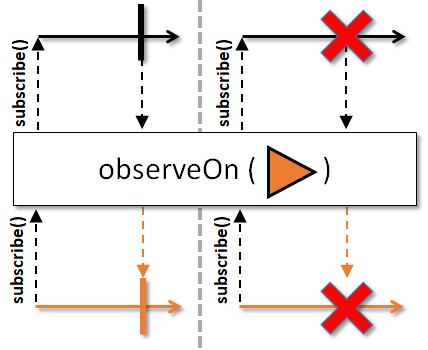 Subscribes to this Completable only once, when the first CompletableObserver subscribes to the result Completable, caches its terminal event and relays/replays it to observers. Returns a Completable instance that completes immediately when subscribed to. Calls the given transformer function with this instance and returns the function's resulting Completable. Returns a Completable which completes only when all sources complete, one after another. Concatenates this Completable with another Completable. Provides an API (via a cold Completable) that bridges the reactive world with the callback-style world. Defers the subscription to a Completable instance returned by a supplier. Returns a Completable which delays the emission of the completion event by the given time. Returns a Completable which delays the emission of the completion event by the given time while running on the specified scheduler. 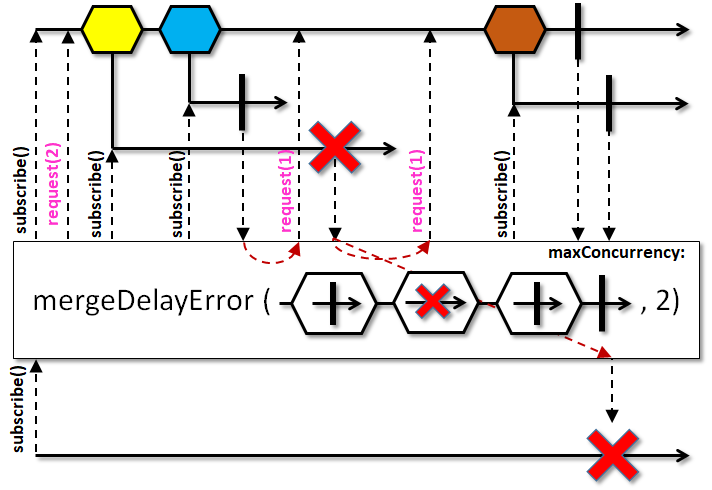 Returns a Completable which delays the emission of the completion event, and optionally the error as well, by the given time while running on the specified scheduler. Returns a Completable that delays the subscription to the source CompletableSource by a given amount of time. 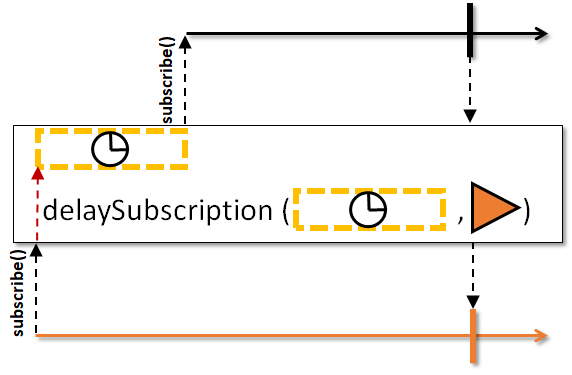 Returns a Completable that delays the subscription to the source CompletableSource by a given amount of time, both waiting and subscribing on a given Scheduler. Returns a Completable instance that calls the given onTerminate callback after this Completable completes normally or with an exception. 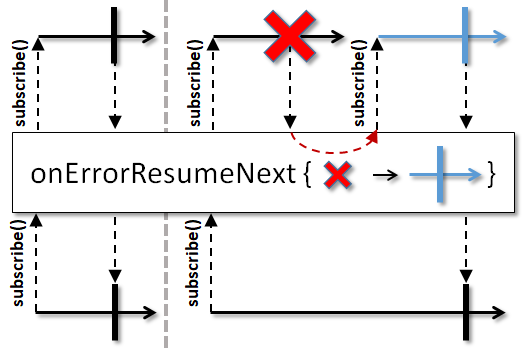 Calls the specified action after this Completable signals onError or onComplete or gets disposed by the downstream. Returns a Completable which calls the given onComplete callback if this Completable completes. Calls the shared Action if a CompletableObserver subscribed to the current Completable disposes the common Disposable it received via onSubscribe. Returns a Completable which calls the given onError callback if this Completable emits an error. 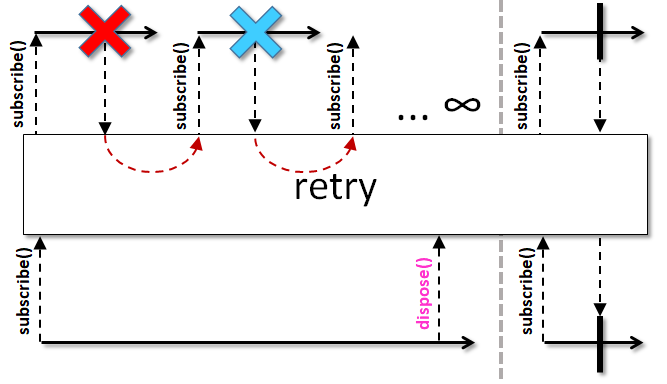 Returns a Completable which calls the given onEvent callback with the (throwable) for an onError or (null) for an onComplete signal from this Completable before delivering said signal to the downstream. 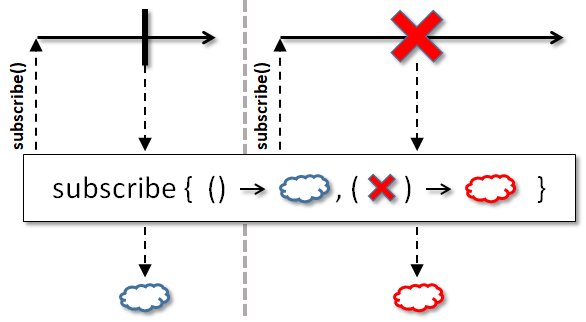 Returns a Completable instance that calls the given onSubscribe callback with the disposable that child subscribers receive on subscription. Returns a Completable instance that calls the given onTerminate callback just before this Completable completes normally or with an exception. Creates a Completable which calls the given error supplier for each subscriber and emits its returned Throwable. Creates a Completable instance that emits the given Throwable exception to subscribers. Returns a Completable instance that runs the given Action for each subscriber and emits either an unchecked exception or simply completes. Returns a Completable which when subscribed, executes the callable function, ignores its normal result and emits onError or onComplete only. 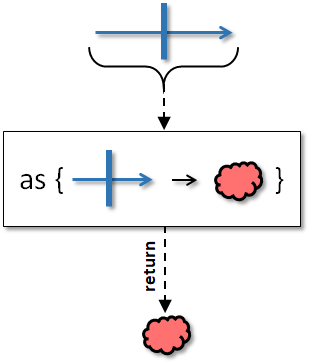 Returns a Completable instance that reacts to the termination of the given Future in a blocking fashion. 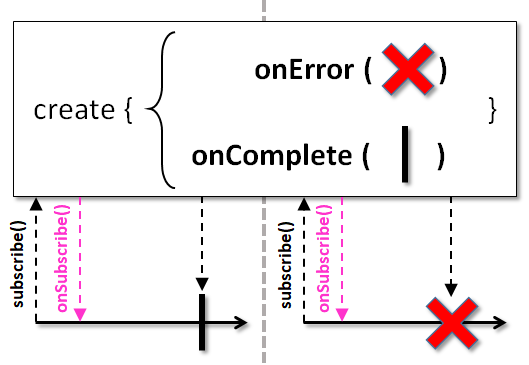 Returns a Completable instance that when subscribed to, subscribes to the Maybe instance and emits a completion event if the maybe emits onSuccess/onComplete or forwards any onError events. Returns a Completable instance that subscribes to the given Observable, ignores all values and emits only the terminal event. Returns a Completable instance that subscribes to the given publisher, ignores all values and emits only the terminal event. Returns a Completable instance that runs the given Runnable for each subscriber and emits either its exception or simply completes. 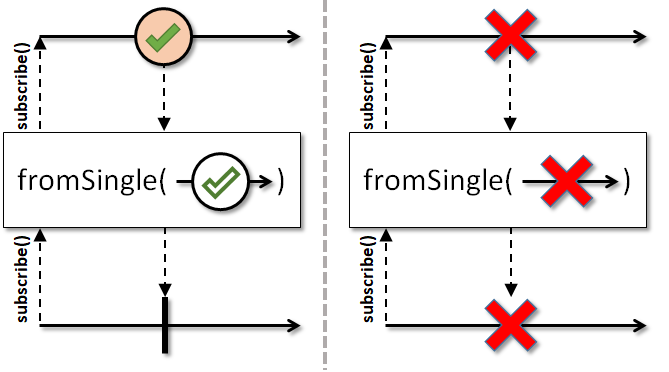 Returns a Completable instance that when subscribed to, subscribes to the Single instance and emits a completion event if the single emits onSuccess or forwards any onError events. Hides the identity of this Completable and its Disposable. 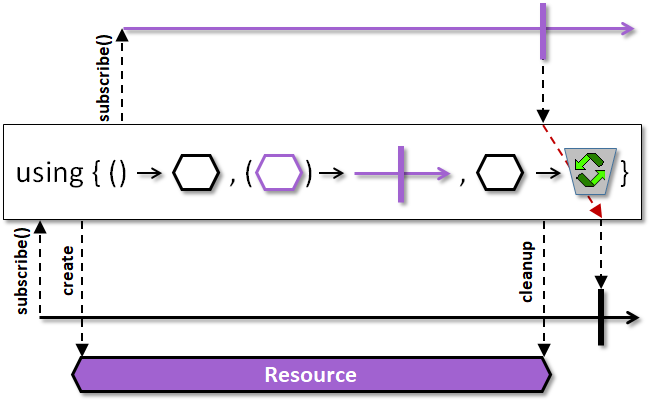 This method requires advanced knowledge about building operators, please consider other standard composition methods first; Returns a Completable which, when subscribed to, invokes the apply(CompletableObserver) method of the provided CompletableOperator for each individual downstream Completable and allows the insertion of a custom operator by accessing the downstream's CompletableObserver during this subscription phase and providing a new CompletableObserver, containing the custom operator's intended business logic, that will be used in the subscription process going further upstream. Maps the signal types of this Completable into a Notification of the same kind and emits it as a single success value to downstream. Returns a Completable instance that subscribes to all sources at once and completes only when all source Completables complete or one of them emits an error. Returns a Completable instance that keeps subscriptions to a limited number of sources at once and completes only when all source Completables complete or one of them emits an error. Returns a CompletableConsumable that subscribes to all Completables in the source array and delays any error emitted by either the sources observable or any of the inner Completables until all of them terminate in a way or another. 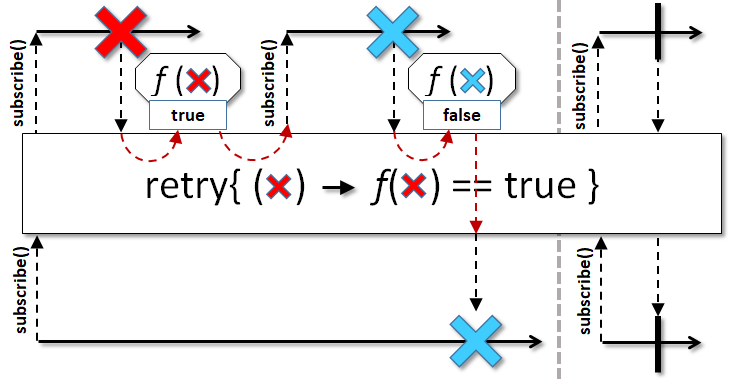 Returns a Completable that subscribes to all Completables in the source sequence and delays any error emitted by either the sources observable or any of the inner Completables until all of them terminate in a way or another. Returns a Completable that subscribes to a limited number of inner Completables at once in the source sequence and delays any error emitted by either the sources observable or any of the inner Completables until all of them terminate in a way or another. Returns a Completable which subscribes to this and the other Completable and completes when both of them complete or one emits an error. Returns a Completable that never calls onError or onComplete. Returns a Completable which emits the terminal events from the thread of the specified scheduler. Returns a Completable instance that if this Completable emits an error, it will emit an onComplete and swallow the throwable. Returns a Completable instance that if this Completable emits an error and the predicate returns true, it will emit an onComplete and swallow the throwable. Returns a Completable instance that when encounters an error from this Completable, calls the specified mapper function that returns another Completable instance for it and resumes the execution with it. Nulls out references to the upstream producer and downstream CompletableObserver if the sequence is terminated or downstream calls dispose(). Returns a Completable that repeatedly subscribes to this Completable until disposed. Returns a Completable that subscribes repeatedly at most the given times to this Completable. Returns a Completable that repeatedly subscribes to this Completable so long as the given stop supplier returns false. Returns a Completable instance that repeats when the Publisher returned by the handler emits an item or completes when this Publisher emits a completed event. Returns a Completable that retries this Completable as long as it emits an onError event. Returns a Completable that retries this Completable in case of an error as long as the predicate returns true. Returns a Completable that when this Completable emits an error, retries at most the given number of times before giving up and emitting the last error. Returns a Completable that when this Completable emits an error, retries at most times or until the predicate returns false, whichever happens first and emitting the last error. Returns a Completable that when this Completable emits an error, calls the given predicate with the latest exception to decide whether to resubscribe to this or not. 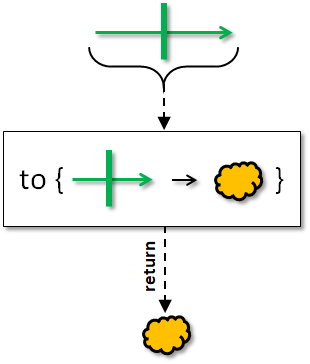 Returns a Completable which given a Publisher and when this Completable emits an error, delivers that error through a Flowable and the Publisher should signal a value indicating a retry in response or a terminal event indicating a termination. 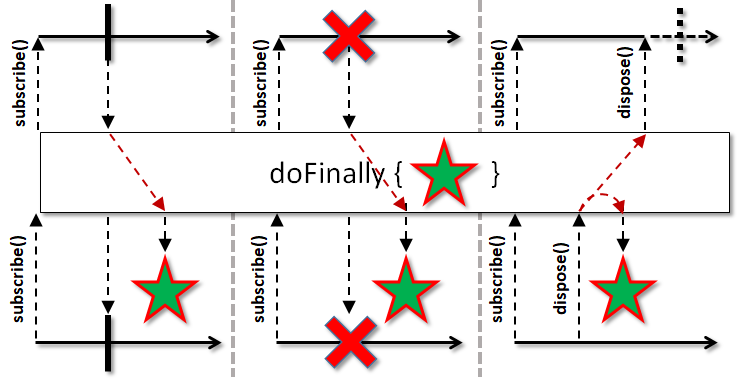 Returns a Completable which first runs the other Completable then this completable if the other completed normally. 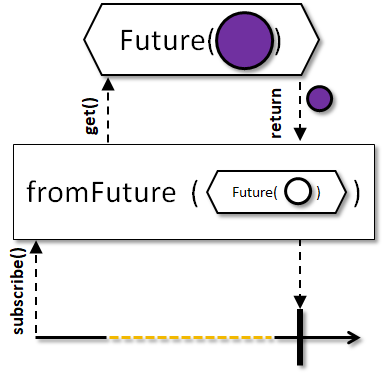 Returns an Observable which first delivers the events of the other Observable then runs this CompletableConsumable. Returns a Flowable which first delivers the events of the other Publisher then runs this Completable. Subscribes to this CompletableConsumable and returns a Disposable which can be used to dispose the subscription. Subscribes to this Completable and calls the given Action when this Completable completes normally. 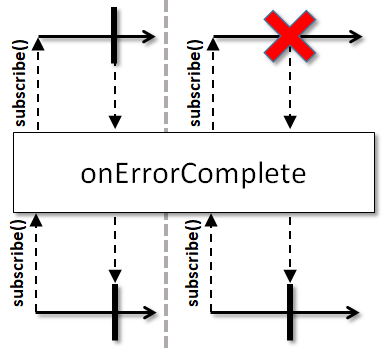 Subscribes to this Completable and calls back either the onError or onComplete functions. Subscribes the given CompletableObserver to this CompletableSource instance. Implement this method to handle the incoming CompletableObservers and perform the business logic in your operator. 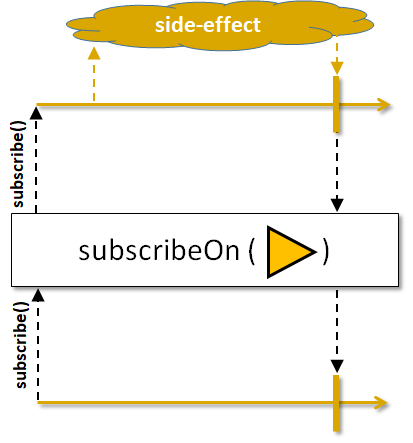 Returns a Completable which subscribes the child subscriber on the specified scheduler, making sure the subscription side-effects happen on that specific thread of the scheduler. Subscribes a given CompletableObserver (subclass) to this Completable and returns the given CompletableObserver as is. 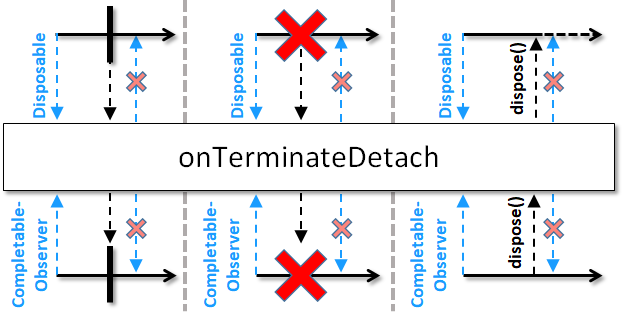 Terminates the downstream if this or the other Completable terminates (wins the termination race) while disposing the connection to the losing source. Creates a TestObserver and subscribes it to this Completable. Creates a TestObserver optionally in cancelled state, then subscribes it to this Completable. Returns a Completable that runs this Completable and emits a TimeoutException in case this Completable doesn't complete within the given time. Returns a Completable that runs this Completable and switches to the other Completable in case this Completable doesn't complete within the given time. Returns a Completable that runs this Completable and emits a TimeoutException in case this Completable doesn't complete within the given time while "waiting" on the specified Scheduler. Returns a Completable that runs this Completable and switches to the other Completable in case this Completable doesn't complete within the given time while "waiting" on the specified scheduler. Returns a Completable instance that fires its onComplete event after the given delay elapsed. Returns a Completable instance that fires its onComplete event after the given delay elapsed by using the supplied scheduler. Allows fluent conversion to another type via a function callback. Returns a Flowable which when subscribed to subscribes to this Completable and relays the terminal events to the subscriber. Converts this Completable into a Maybe. 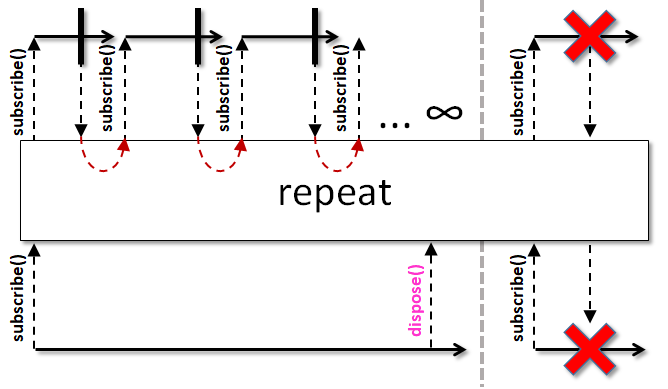 Returns an Observable which when subscribed to subscribes to this Completable and relays the terminal events to the subscriber. Converts this Completable into a Single which when this Completable completes normally, calls the given supplier and emits its returned value through onSuccess. Converts this Completable into a Single which when this Completable completes normally, emits the given value through onSuccess. 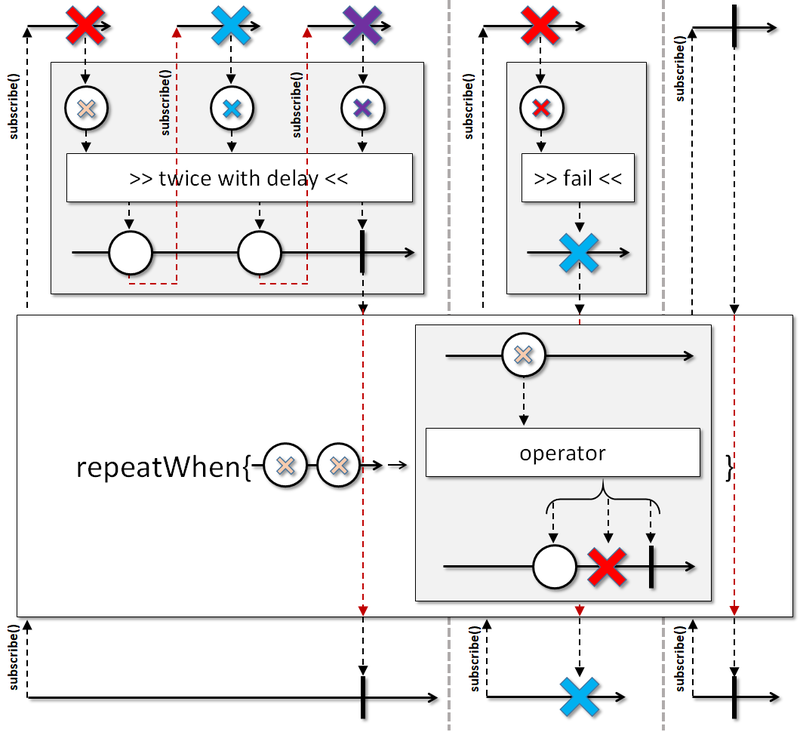 Constructs a Completable instance by wrapping the given source callback without any safeguards; you should manage the lifecycle and response to downstream disposal. Returns a Completable which makes sure when a subscriber disposes the subscription, the dispose is called on the specified scheduler. Returns a Completable instance which manages a resource along with a custom Completable instance while the subscription is active. Returns a Completable instance which manages a resource along with a custom Completable instance while the subscription is active and performs eager or lazy resource disposition. Wraps the given CompletableSource into a Completable if not already Completable. ambArray does not operate by default on a particular Scheduler. sources - the array of source Completables. A subscription to each source will occur in the same order as in this array. amb does not operate by default on a particular Scheduler. sources - the array of source Completables. 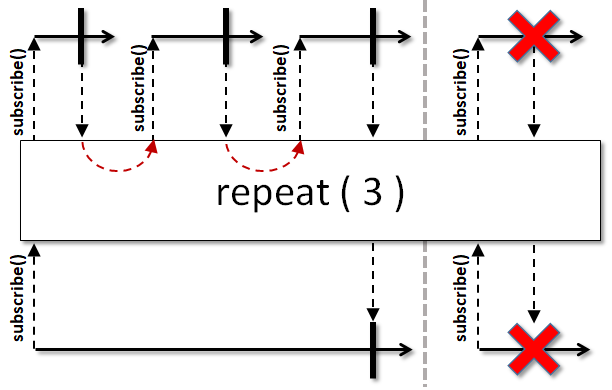 A subscription to each source will occur in the same order as in this Iterable. complete does not operate by default on a particular Scheduler. 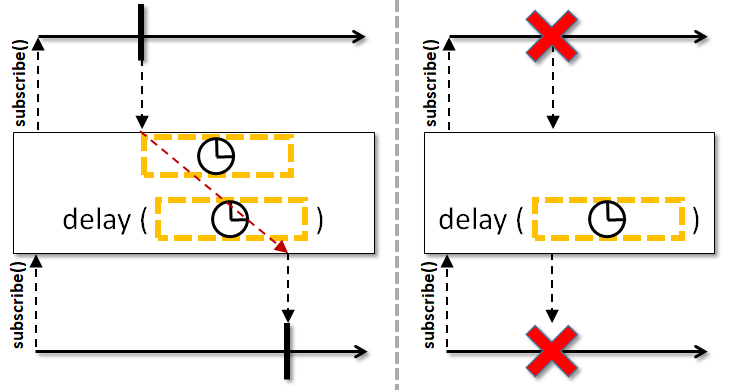 concatArray does not operate by default on a particular Scheduler. concat does not operate by default on a particular Scheduler. The returned Completable honors the backpressure of the downstream consumer and expects the other Publisher to honor it as well. create does not operate by default on a particular Scheduler. unsafeCreate does not operate by default on a particular Scheduler. source - the callback which will receive the CompletableObserver instances when the Completable is subscribed to. defer does not operate by default on a particular Scheduler. completableSupplier - the supplier that returns the Completable that will be subscribed to. If the errorSupplier returns null, the child CompletableObservers will receive a NullPointerException. error does not operate by default on a particular Scheduler. fromAction does not operate by default on a particular Scheduler. If the Action throws an exception, the respective Throwable is delivered to the downstream via CompletableObserver.onError(Throwable), except when the downstream has disposed this Completable source. In this latter case, the Throwable is delivered to the global error handler via RxJavaPlugins.onError(Throwable) as an UndeliverableException. fromCallable does not operate by default on a particular Scheduler. If the Callable throws an exception, the respective Throwable is delivered to the downstream via CompletableObserver.onError(Throwable), except when the downstream has disposed this Completable source. In this latter case, the Throwable is delivered to the global error handler via RxJavaPlugins.onError(Throwable) as an UndeliverableException. Note that if any of the observers to this Completable call dispose, this Completable will cancel the future. fromFuture does not operate by default on a particular Scheduler. fromMaybe does not operate by default on a particular Scheduler. fromRunnable does not operate by default on a particular Scheduler. If the Runnable throws an exception, the respective Throwable is delivered to the downstream via CompletableObserver.onError(Throwable), except when the downstream has disposed this Completable source. In this latter case, the Throwable is delivered to the global error handler via RxJavaPlugins.onError(Throwable) as an UndeliverableException. fromObservable does not operate by default on a particular Scheduler. 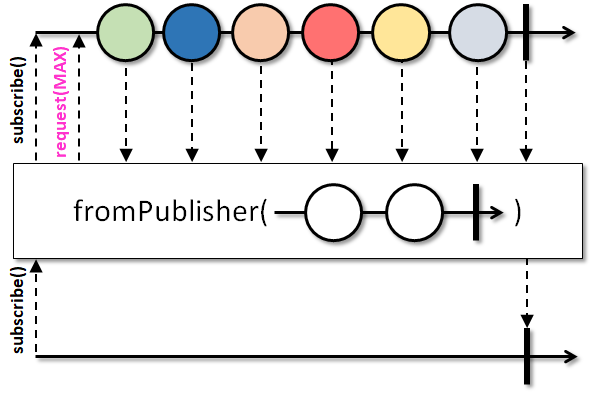 The Publisher must follow the Reactive-Streams specification. Violating the specification may result in undefined behavior. If possible, use create(CompletableOnSubscribe) to create a source-like Completable instead. Note that even though Publisher appears to be a functional interface, it is not recommended to implement it through a lambda as the specification requires state management that is not achievable with a stateless lambda. fromPublisher does not operate by default on a particular Scheduler. fromSingle does not operate by default on a particular Scheduler. mergeArray does not operate by default on a particular Scheduler. If any of the source CompletableSources signal a Throwable via onError, the resulting Completable terminates with that Throwable and all other source CompletableSources are disposed. 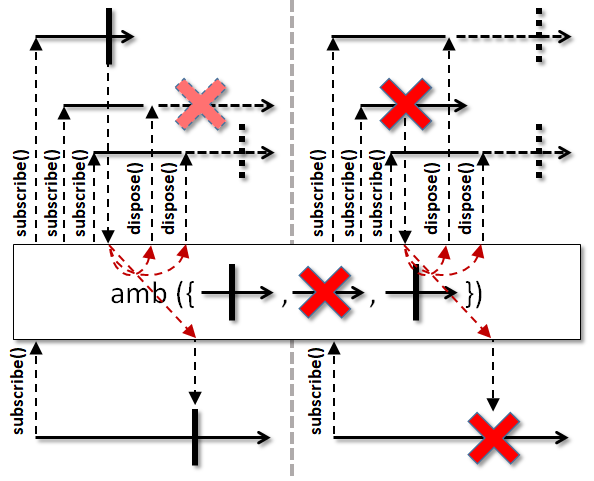 If more than one CompletableSource signals an error, the resulting Completable may terminate with the first one's error or, depending on the concurrency of the sources, may terminate with a CompositeException containing two or more of the various error signals. Throwables that didn't make into the composite will be sent (individually) to the global error handler via RxJavaPlugins.onError(Throwable) method as UndeliverableException errors. 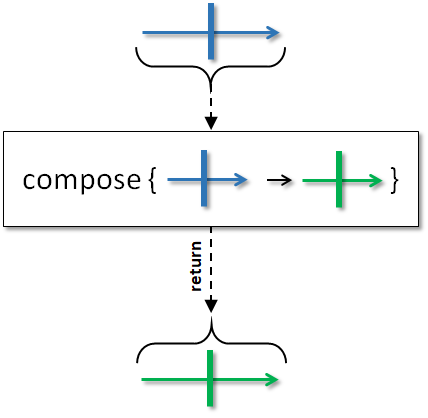 Similarly, Throwables signaled by source(s) after the returned Completable has been disposed or terminated with a (composite) error will be sent to the same global error handler. 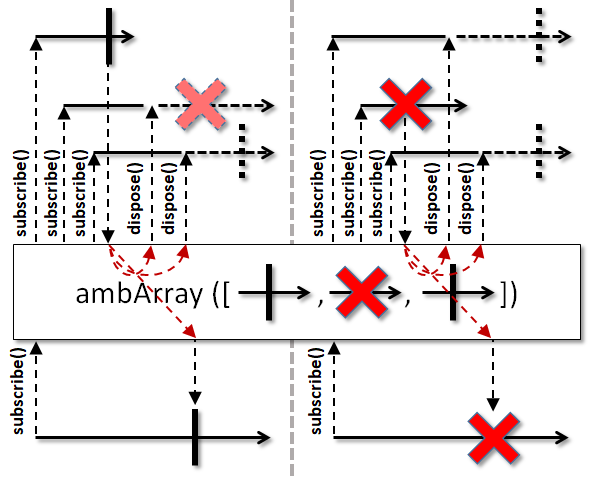 Use mergeArrayDelayError(CompletableSource...) to merge sources and terminate only when all source CompletableSources have completed or failed with an error. 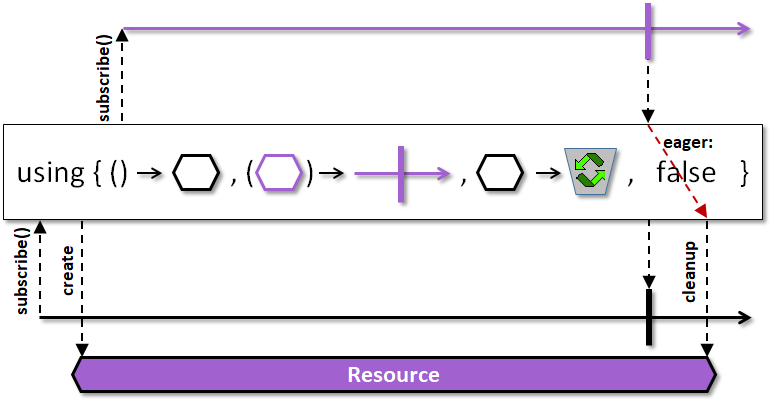 sources - the iterable sequence of sources. merge does not operate by default on a particular Scheduler. If any of the source CompletableSources signal a Throwable via onError, the resulting Completable terminates with that Throwable and all other source CompletableSources are disposed. 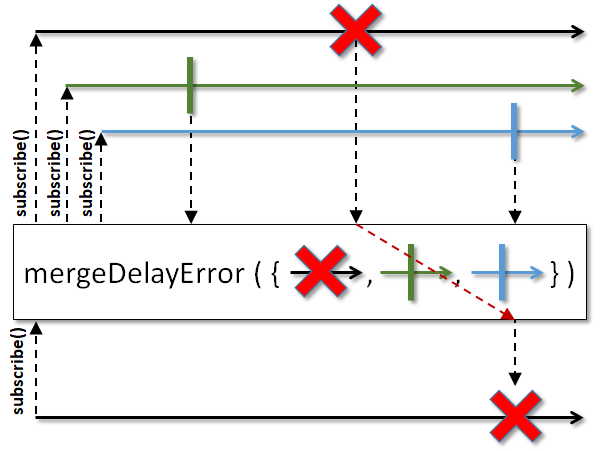 If more than one CompletableSource signals an error, the resulting Completable may terminate with the first one's error or, depending on the concurrency of the sources, may terminate with a CompositeException containing two or more of the various error signals. Throwables that didn't make into the composite will be sent (individually) to the global error handler via RxJavaPlugins.onError(Throwable) method as UndeliverableException errors. Similarly, Throwables signaled by source(s) after the returned Completable has been disposed or terminated with a (composite) error will be sent to the same global error handler. Use mergeDelayError(Iterable) to merge sources and terminate only when all source CompletableSources have completed or failed with an error. If any of the source CompletableSources signal a Throwable via onError, the resulting Completable terminates with that Throwable and all other source CompletableSources are disposed. 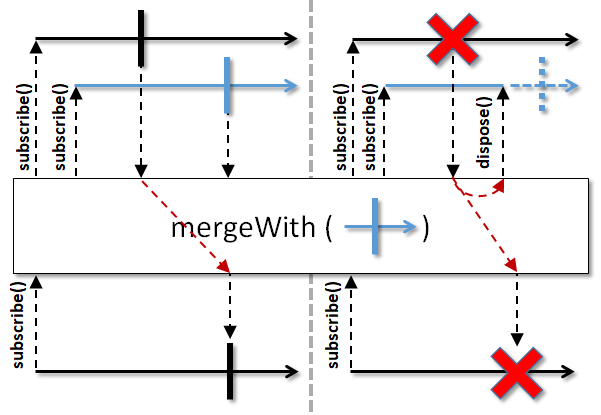 If more than one CompletableSource signals an error, the resulting Completable may terminate with the first one's error or, depending on the concurrency of the sources, may terminate with a CompositeException containing two or more of the various error signals. Throwables that didn't make into the composite will be sent (individually) to the global error handler via RxJavaPlugins.onError(Throwable) method as UndeliverableException errors. Similarly, Throwables signaled by source(s) after the returned Completable has been disposed or terminated with a (composite) error will be sent to the same global error handler. Use mergeDelayError(Publisher) to merge sources and terminate only when all source CompletableSources have completed or failed with an error. If any of the source CompletableSources signal a Throwable via onError, the resulting Completable terminates with that Throwable and all other source CompletableSources are disposed. 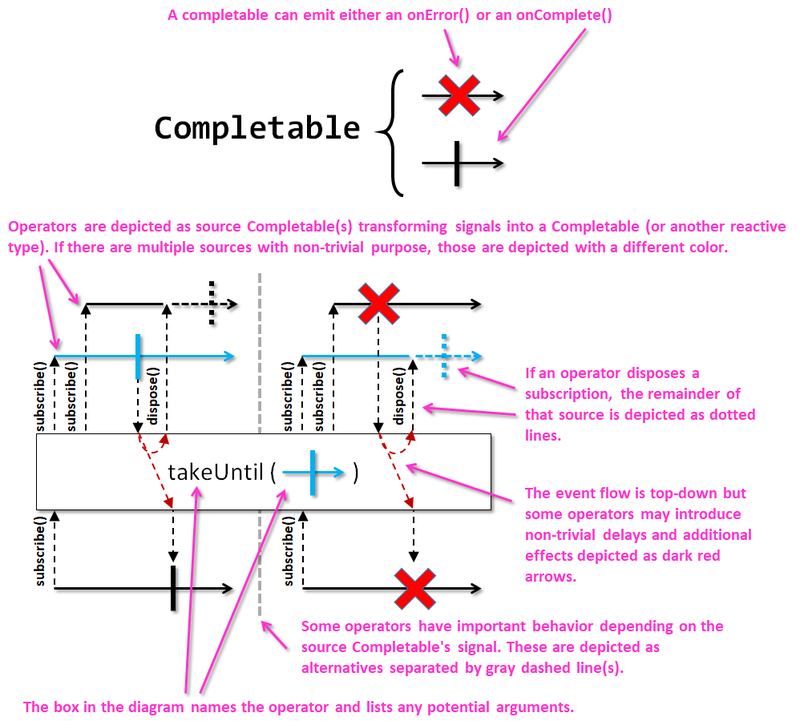 If more than one CompletableSource signals an error, the resulting Completable may terminate with the first one's error or, depending on the concurrency of the sources, may terminate with a CompositeException containing two or more of the various error signals. Throwables that didn't make into the composite will be sent (individually) to the global error handler via RxJavaPlugins.onError(Throwable) method as UndeliverableException errors. Similarly, Throwables signaled by source(s) after the returned Completable has been disposed or terminated with a (composite) error will be sent to the same global error handler. Use mergeDelayError(Publisher, int) to merge sources and terminate only when all source CompletableSources have completed or failed with an error. 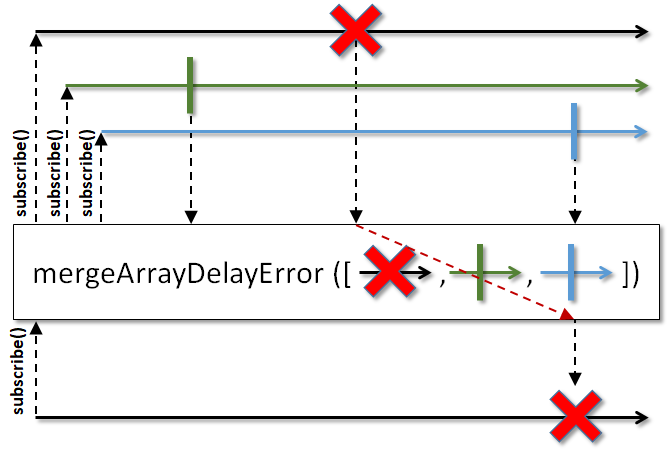 mergeArrayDelayError does not operate by default on a particular Scheduler. mergeDelayError does not operate by default on a particular Scheduler. never does not operate by default on a particular Scheduler. timer does operate by default on the computation Scheduler. timer operates on the Scheduler you specify. This overload disposes eagerly before the terminal event is emitted. using does not operate by default on a particular Scheduler. resourceSupplier - the supplier that returns a resource to be managed. If this overload performs a lazy disposal after the terminal event is emitted. 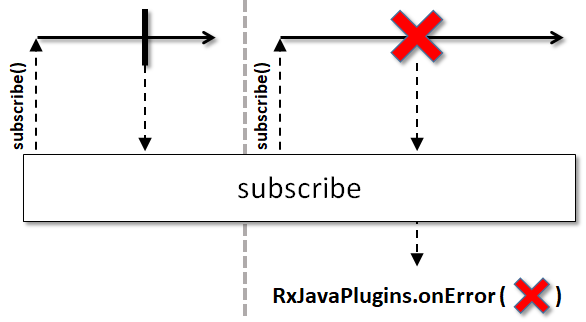 Exceptions thrown at this time will be delivered to RxJavaPlugins only. 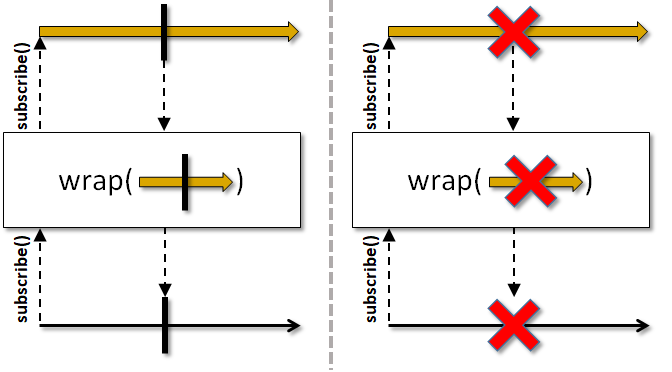 wrap does not operate by default on a particular Scheduler. 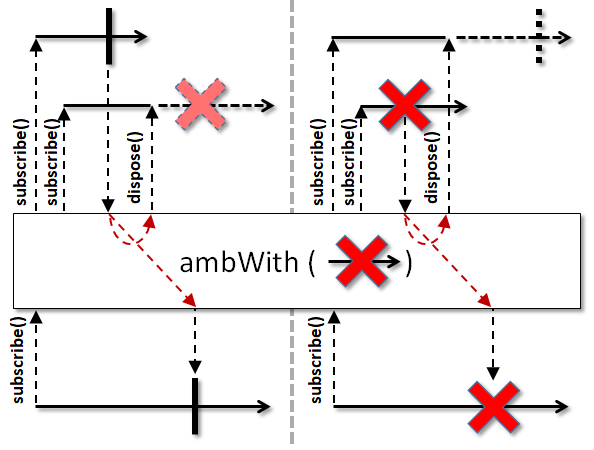 ambWith does not operate by default on a particular Scheduler. other - the other Completable, not null. A subscription to this provided source will occur after subscribing to the current source. 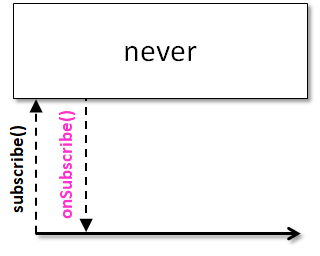 Returns an Observable which will subscribe to this Completable and once that is completed then will subscribe to the next ObservableSource. 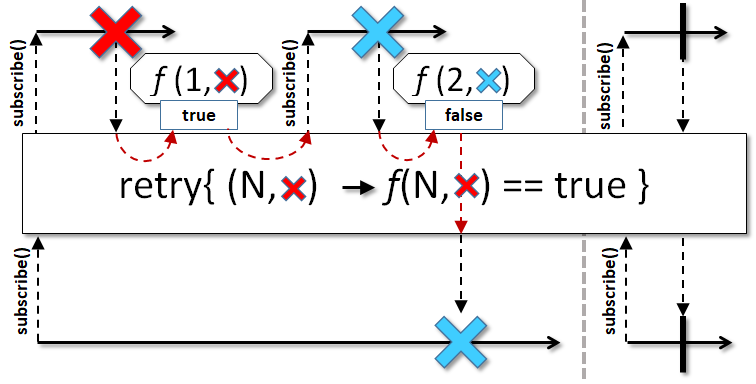 An error event from this Completable will be propagated to the downstream subscriber and will result in skipping the subscription of the Observable. andThen does not operate by default on a particular Scheduler. Returns a Flowable which will subscribe to this Completable and once that is completed then will subscribe to the next Flowable. 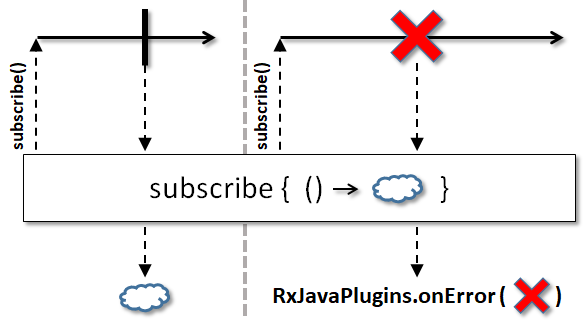 An error event from this Completable will be propagated to the downstream subscriber and will result in skipping the subscription of the Publisher. The returned Flowable honors the backpressure of the downstream consumer and expects the other Publisher to honor it as well. Returns a Single which will subscribe to this Completable and once that is completed then will subscribe to the next SingleSource. 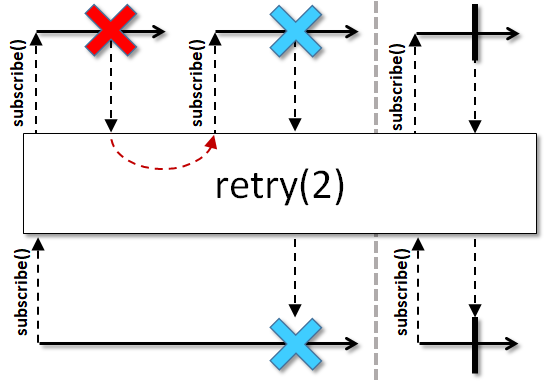 An error event from this Completable will be propagated to the downstream subscriber and will result in skipping the subscription of the Single. Returns a Maybe which will subscribe to this Completable and once that is completed then will subscribe to the next MaybeSource. 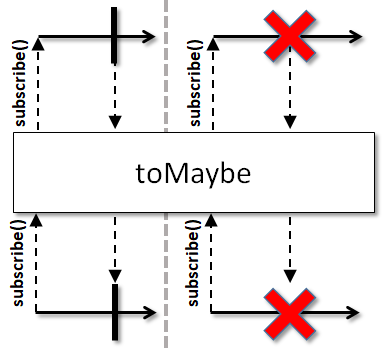 An error event from this Completable will be propagated to the downstream subscriber and will result in skipping the subscription of the Maybe. This is an alias for concatWith(CompletableSource). This allows fluent conversion to any other type. as does not operate by default on a particular Scheduler. 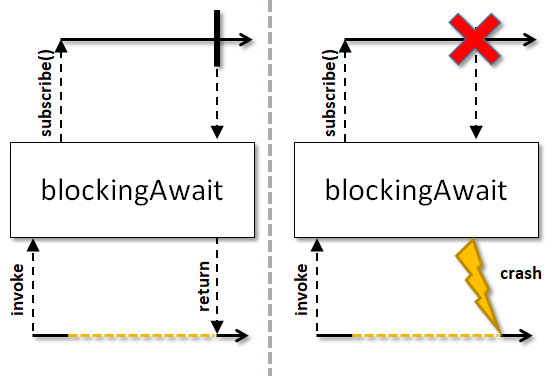 blockingAwait does not operate by default on a particular Scheduler. 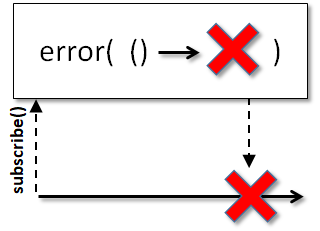 If the source signals an error, the operator wraps a checked Exception into RuntimeException and throws that. Otherwise, RuntimeExceptions and Errors are rethrown as they are. 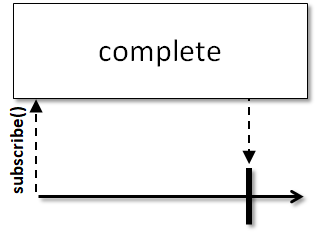 true if the this Completable instance completed normally within the time limit, false if the timeout elapsed before this Completable terminated. 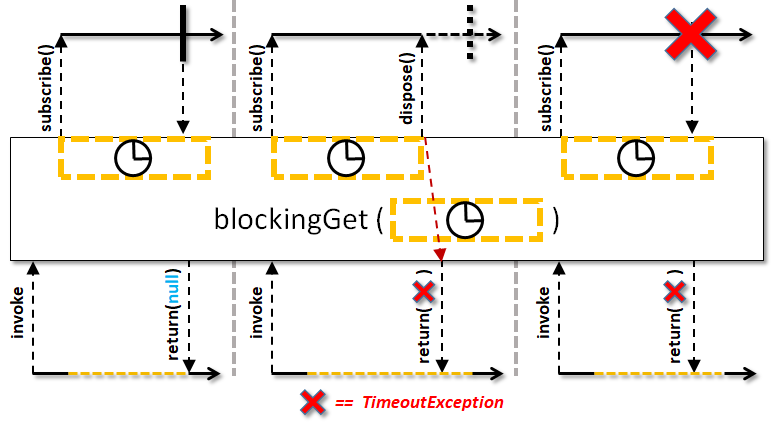 blockingGet does not operate by default on a particular Scheduler. Note that this operator doesn't allow disposing the connection of the upstream source. 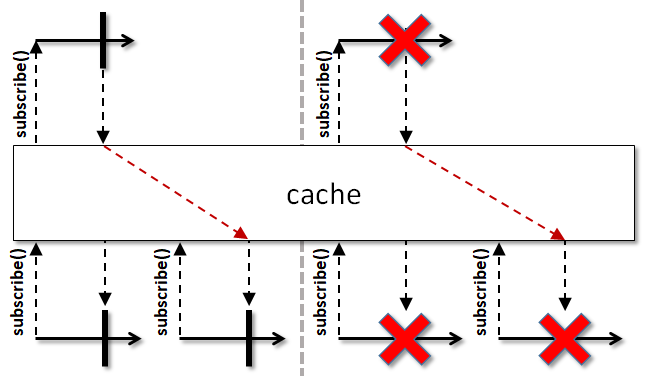 cache does not operate by default on a particular Scheduler. compose does not operate by default on a particular Scheduler. concatWith does not operate by default on a particular Scheduler. delay does operate by default on the computation Scheduler. delay operates on the Scheduler you specify. 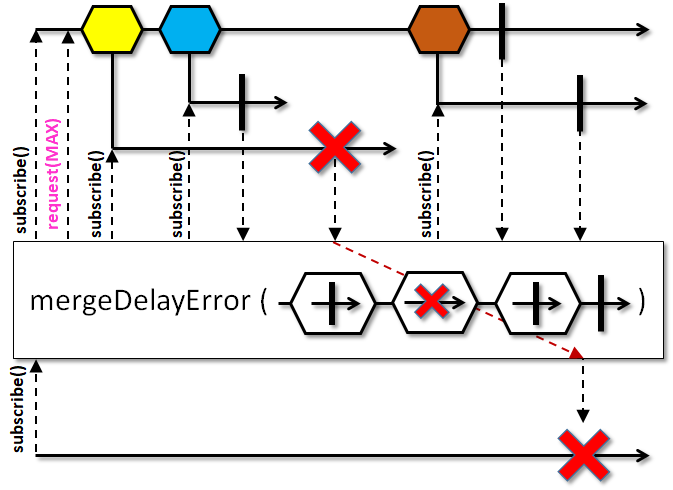 delayError - delay the error emission as well? 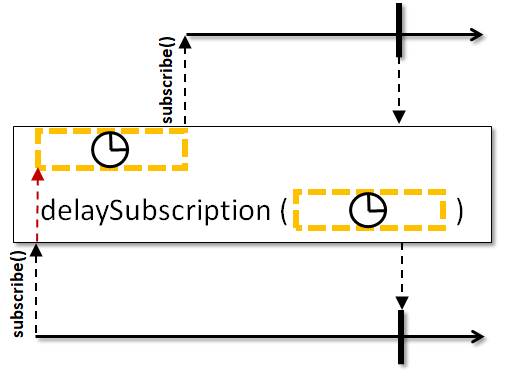 This version of delaySubscription operates by default on the computation Scheduler. You specify which Scheduler this operator will use. doOnComplete does not operate by default on a particular Scheduler. doOnDispose does not operate by default on a particular Scheduler. doOnError does not operate by default on a particular Scheduler. doOnEvent does not operate by default on a particular Scheduler. doOnSubscribe does not operate by default on a particular Scheduler. doOnTerminate does not operate by default on a particular Scheduler. doAfterTerminate does not operate by default on a particular Scheduler. In case of a race between a terminal event and a dispose call, the provided onFinally action is executed once per subscription. 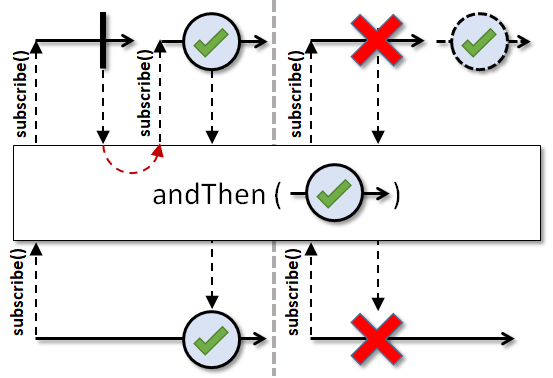 Note that the onFinally action is shared between subscriptions and as such should be thread-safe. doFinally does not operate by default on a particular Scheduler. 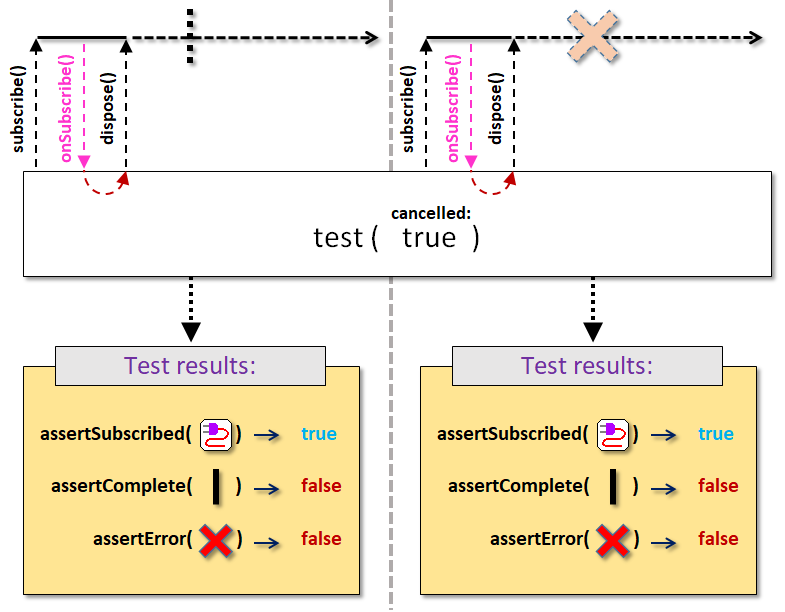 Generally, such a new CompletableObserver will wrap the downstream's CompletableObserver and forwards the onError and onComplete events from the upstream directly or according to the emission pattern the custom operator's business logic requires. In addition, such operator can intercept the flow control calls of dispose and isDisposed that would have traveled upstream and perform additional actions depending on the same business logic requirements. // and subsequently this class has to send a Disposable to the downstream. // could just forward it to the downstream. // When the upstream completes, usually the downstream should complete as well. // resources can simply forward the dispose to the upstream. 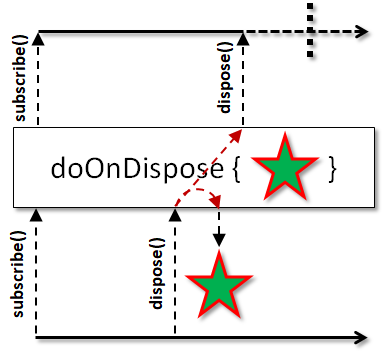 // can return the disposed flag set in dispose(). //         returns the custom consumer type from above in its apply() method. //         the custom consumer type. //         or reusing an existing one. Creating custom operators can be complicated and it is recommended one consults the RxJava wiki: Writing operators page about the tools, requirements, rules, considerations and pitfalls of implementing them. Note that implementing custom operators via this lift() method adds slightly more overhead by requiring an additional allocation and indirection per assembled flows. Instead, extending the abstract Completable class and creating a CompletableTransformer with it is recommended. 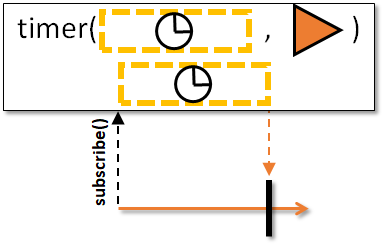 Note also that it is not possible to stop the subscription phase in lift() as the apply() method requires a non-null CompletableObserver instance to be returned, which is then unconditionally subscribed to the upstream Completable. 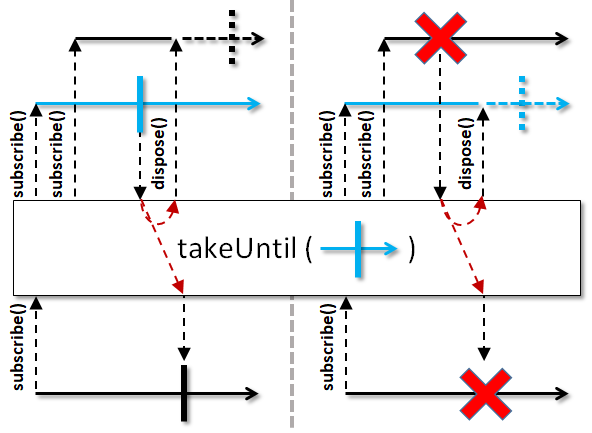 For example, if the operator decided there is no reason to subscribe to the upstream source because of some optimization possibility or a failure to prepare the operator, it still has to return a CompletableObserver that should immediately dispose the upstream's Disposable in its onSubscribe method. 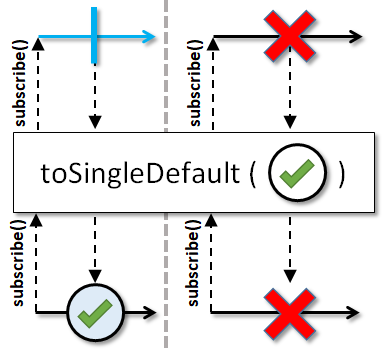 Again, using a CompletableTransformer and extending the Completable is a better option as subscribeActual(io.reactivex.CompletableObserver) can decide to not subscribe to its upstream after all. 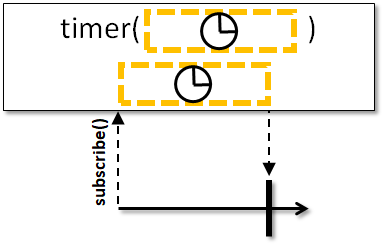 lift does not operate by default on a particular Scheduler, however, the CompletableOperator may use a Scheduler to support its own asynchronous behavior. onLift - the CompletableOperator that receives the downstream's CompletableObserver and should return a CompletableObserver with custom behavior to be used as the consumer for the current Completable. materialize does not operate by default on a particular Scheduler. mergeWith does not operate by default on a particular Scheduler. observeOn operates on a Scheduler you specify. onErrorComplete does not operate by default on a particular Scheduler. predicate - the predicate to call when an Throwable is emitted which should return true if the Throwable should be swallowed and replaced with an onComplete. onErrorResumeNext does not operate by default on a particular Scheduler. errorMapper - the mapper function that takes the error and should return a Completable as continuation. onTerminateDetach does not operate by default on a particular Scheduler. repeat does not operate by default on a particular Scheduler. repeatUntil does not operate by default on a particular Scheduler. stop - the supplier that should return true to stop resubscribing. repeatWhen does not operate by default on a particular Scheduler. retry does not operate by default on a particular Scheduler. predicate - the predicate called when this emits an error with the repeat count and the latest exception and should return true to retry. predicate - the predicate that is called with the latest throwable and should return true to indicate the returned Completable should resubscribe to this Completable. 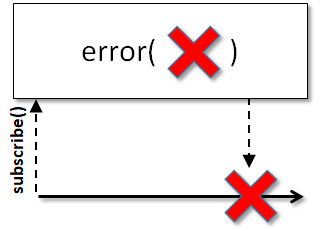 Note that the inner Publisher returned by the handler function should signal either onNext, onError or onComplete in response to the received Throwable to indicate the operator should retry or terminate. 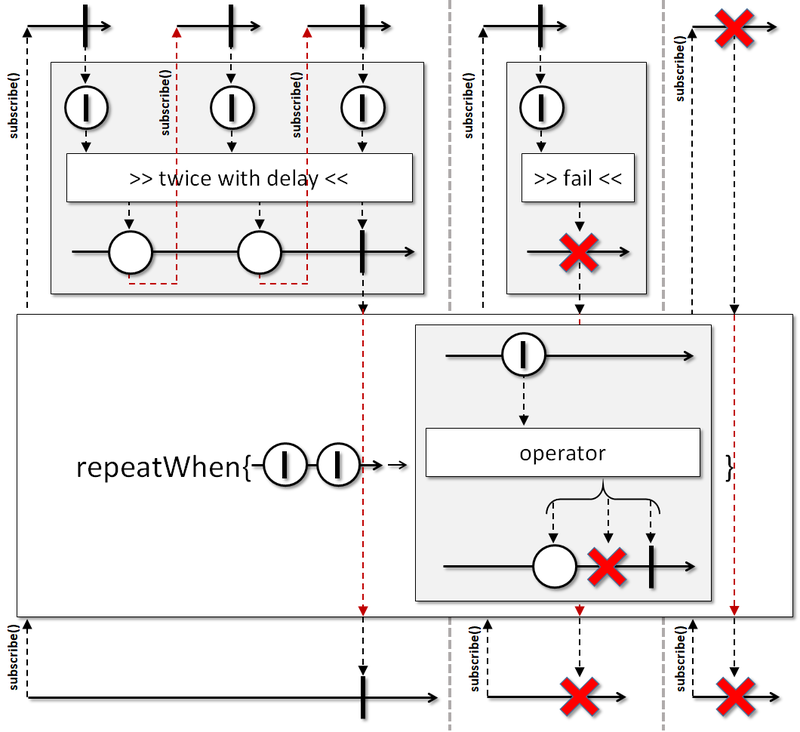 If the upstream to the operator is asynchronous, signalling onNext followed by onComplete immediately may result in the sequence to be completed immediately. 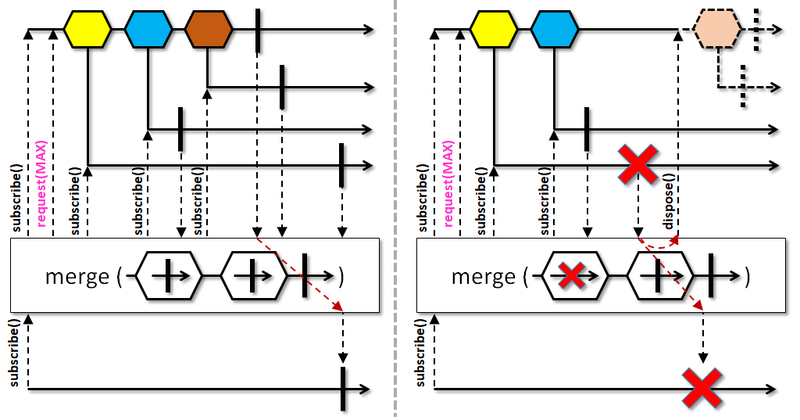 Similarly, if this inner Publisher signals onError or onComplete while the upstream is active, the sequence is terminated with the same signal immediately. retryWhen does not operate by default on a particular Scheduler. handler - the handler that receives a Flowable delivering Throwables and should return a Publisher that emits items to indicate retries or emits terminal events to indicate termination. startWith does not operate by default on a particular Scheduler. 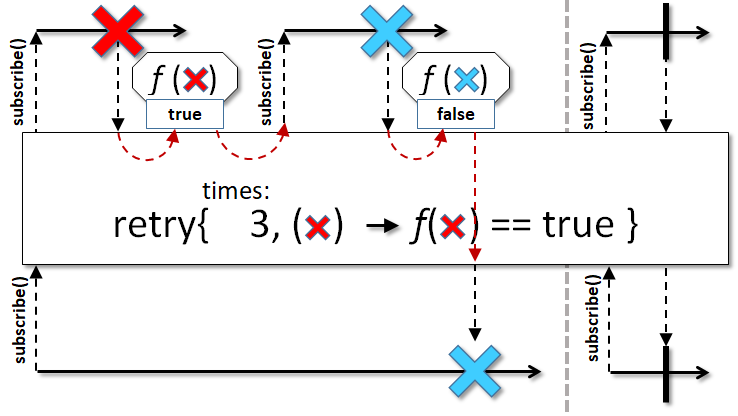 Allows preventing certain identity-based optimizations (fusion). 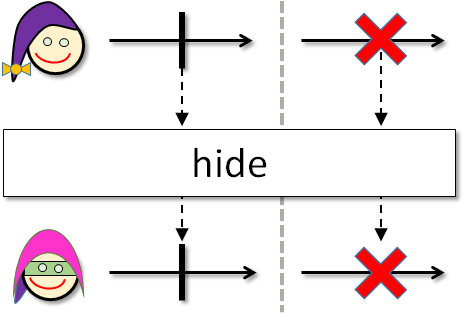 hide does not operate by default on a particular Scheduler. subscribe does not operate by default on a particular Scheduler. There is no need to call any of the plugin hooks on the current Completable instance or the CompletableObserver; all hooks and basic safeguards have been applied by subscribe(CompletableObserver) before this method gets called. subscribeWith does not operate by default on a particular Scheduler. If the Completable emits an error, it is wrapped into an OnErrorNotImplementedException and routed to the RxJavaPlugins.onError handler. subscribeOn operates on a Scheduler you specify. takeUntil does not operate by default on a particular Scheduler. If both this and the other sources signal an error, only one of the errors is signaled to the downstream and the other error is signaled to the global error handler via RxJavaPlugins.onError(Throwable). timeout signals the TimeoutException on the computation Scheduler. 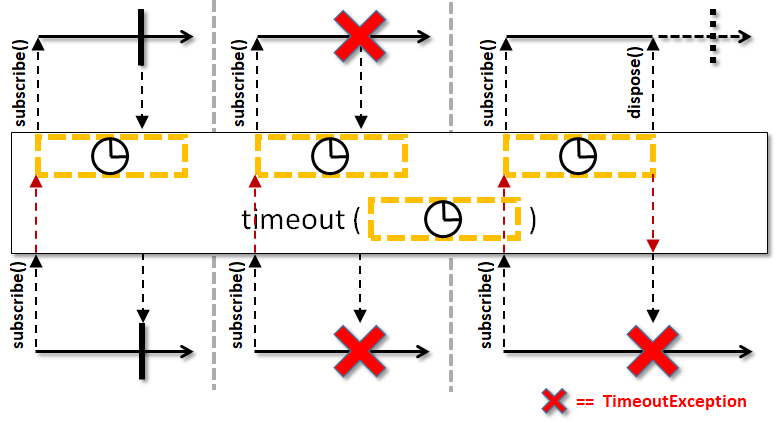 timeout subscribes to the other CompletableSource on the computation Scheduler. 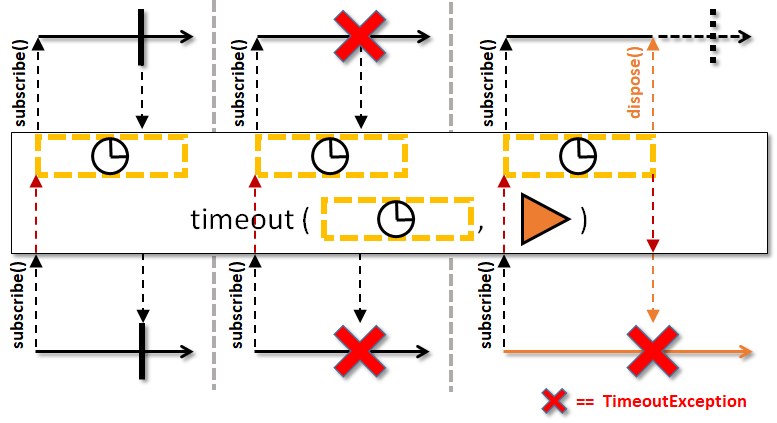 timeout signals the TimeoutException on the Scheduler you specify. timeout subscribes to the other CompletableSource on the Scheduler you specify. to does not operate by default on a particular Scheduler. converter - the function called with this which should return some other value. The returned Flowable honors the backpressure of the downstream consumer. 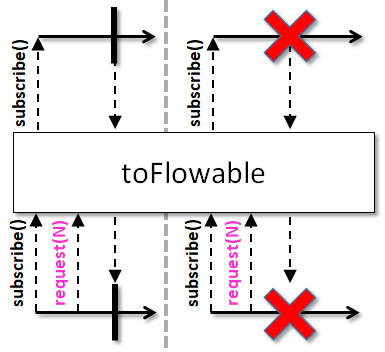 toFlowable does not operate by default on a particular Scheduler. toMaybe does not operate by default on a particular Scheduler. a Maybe that only calls onComplete or onError, based on which one is called by the source Completable. toObservable does not operate by default on a particular Scheduler. 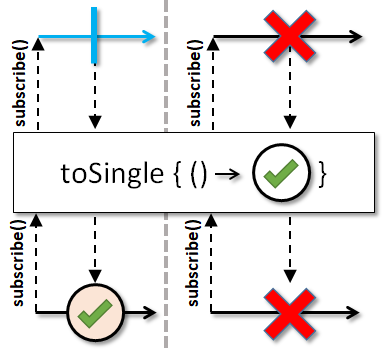 toSingle does not operate by default on a particular Scheduler. toSingleDefault does not operate by default on a particular Scheduler. 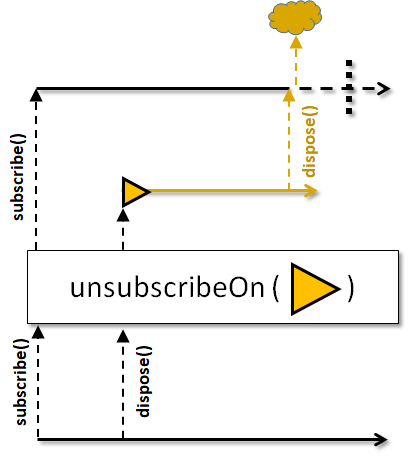 unsubscribeOn calls dispose() of the upstream on the Scheduler you specify. test does not operate by default on a particular Scheduler. cancelled - if true, the TestObserver will be cancelled before subscribing to this Completable.